I've completed my week 3 of T25. I still love T25, I've said it before and I'll say it again…it is my FAVORITE Beachbody fitness program. And I can't go by and not say one last time that the T25 Challenge Pack is on SALE until the end of April…only a couple days left!! Message me on how to order!! I was on Spring Break this last week with my kiddos and while my main focus for was to be extremely strict with my nutrition, I also took some time to get out and have fun with my kids!!! Can't beat Southern California Weather! 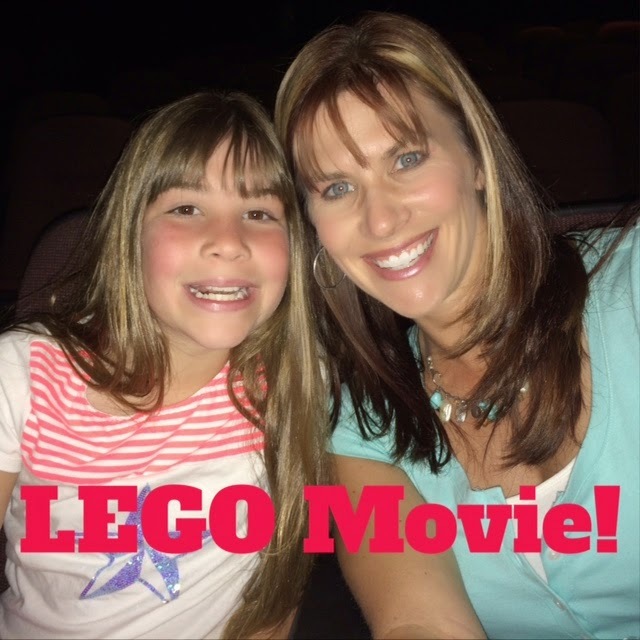 Fun at the Lego Movie! So back to my week...I had been really good with my workouts but had been lazier on my eating and not focusing on my portion sizes. So this past week was a refined week. I actually did something I NEVER do because I honestly stick to it one day and fall off it. But I knew I wanted to get super strict so I started writing down everything I was eating on My Fitness Pal. And I gotta say it opened my eyes to how much I had been "snitching" and not knowing it! Ouch! So I've got a pretty big trip planned this summer to Europe and I'm not at the goal I want to be for that trip…so I've gotten super strict and I'm liking the results I'm seeing! This week I lost 2.5 lbs and stayed committed to my eating plan, and I mean I stayed SUPER committed to my eating plan! My biggest VICTORY for this week was my Girl's Night Out with my MIL and sisters-in-law and we went to a Mexican Restaurant and I checked out the menu before hand and had a plan of what I was eating. I decided before hand that I was going for the company and not for the food. I did NOT touch ONE SINGLE CHIP (seriously, I LOVE tortilla chips and can't stop when I start…so I didn't start!). I got a salad with chicken for dinner and water to drink. An after dinner cup of coffee and called it quits! I felt GREAT afterward and not stuffed or regretful of what I ate!! Whoop whoop!! 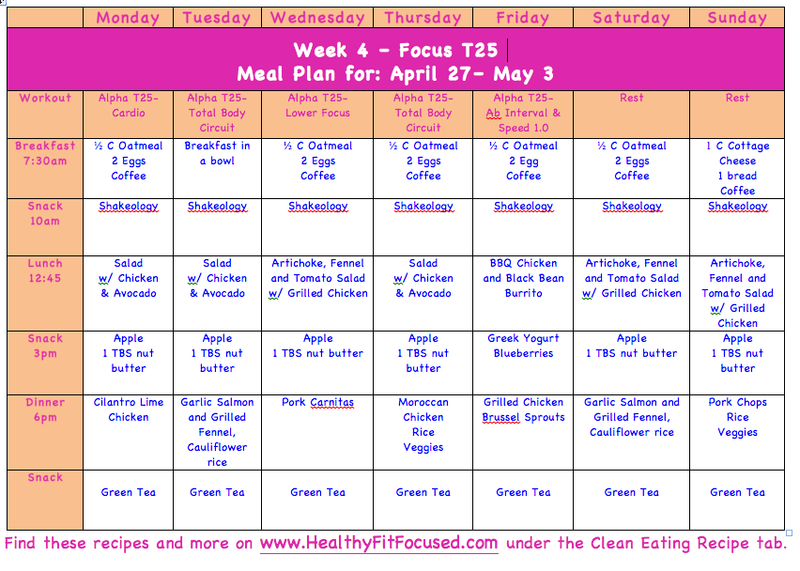 Here's my meal plan for next week feel free to follow along with me!! Do you need extra guidance and help on your journey for health and fitness? I would love to get you the support you are looking for to stay committed to your health and fitness goals!! 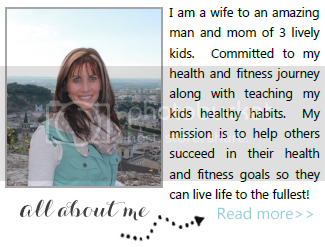 My passion is to help you succeed and reach your health and fitness goals. 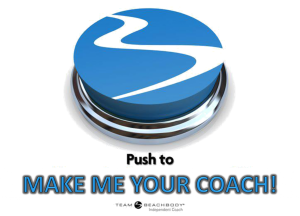 Click the button below to make me your FREE personal coach!! If you are wanting to get more refined on your nutrition and fitness programs and would like more information on my upcoming challenge group, please fill out this application below for additional information! I'd love to get you plugged into a group for great accountability so that YOU can reach your goals!! You don't have to do this on your own, I have an entire plan to take you along this journey together! It's YOUR time! !